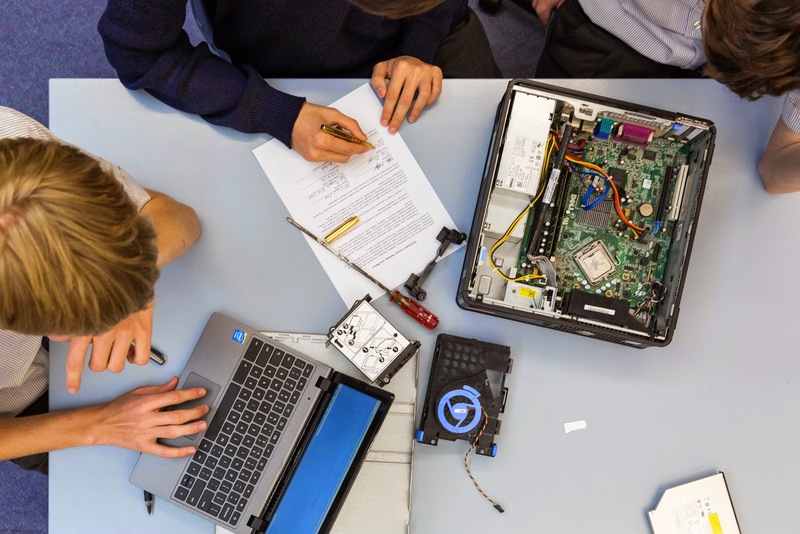 Students from geographically remote schools collaborate and construct technical creations in Minecraft as a learning platform. Students plan, design and collaboratively create structures and functioning machines in Minecraft. Students learn how to communicate and collaborate effectively in web based projects. Students have real global audiences for their creations. Students run virtual excursions for other schools in their minecraft world creations. 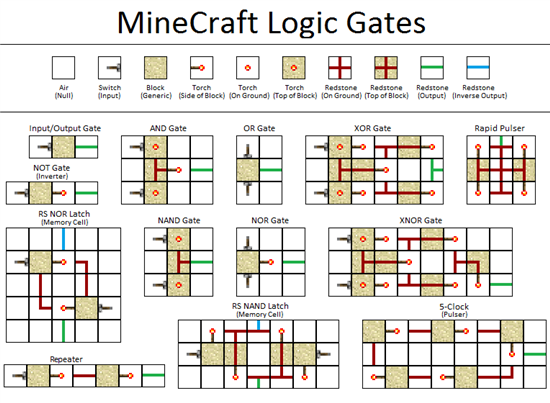 Devices- Minecraft works on most devices (great if you are a diverse BYOD school). Students usually prefer laptops however. Ensure your students all have minecraft accounts. Initial setup is easier if you utilise the Minecraft Jedi in your class/es. Liase with your IT Dept. to ensure minecraft will be accessible on your school network. Request that they open ports & domains if needed. Create and share with students a collaborative document detailing the project, rules and ideas. Students can go in-world at any time BUT there needs to be balance with time management. Set a 30-60 min time each week where students from each school meet in-world and have a live video conference (skype, hangout) at the same time so students can converse face-to-face. 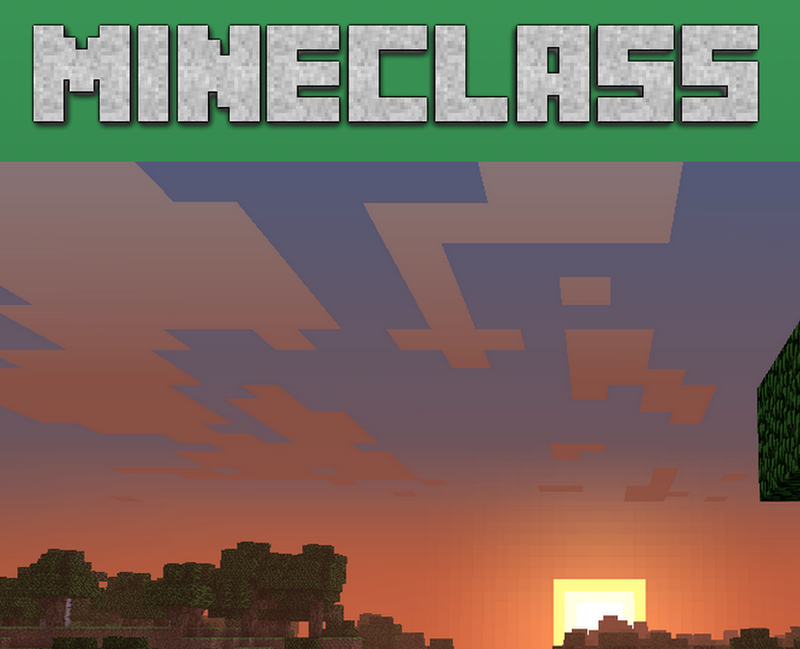 Make your Mineclass project launch exciting and fun. Let your students meet (video conference) and introduce themselves face-to-face. Give them time to talk and discuss project ideas. Let them form sub-teams if required. Then let students go in-world for the first time. It is important to let them just play and muck around the first time they meet in-world. They may show off their minecraft skills. There may be some griefing. Use this as an opportunity to reiterate the rules. Students can create working calculators, toilets, computers, organic cells, sports stadiums with working scoreboards etc. At this point in the project most teachers begin freaking out at their lack of minecraft skills. DON’T PANIC! The students can teach you the basics! When the project gets to the level of sophistication where it needs special requirements from the system you need to employ some of your students as admins. Admins are the moderators in Minecraft. They can change variables, teleport players around, basically be omniscient. They are a much needed resource if your project gets out of hand or students begin griefing. Choose your admins carefully. You don’t want students to misuse their position of authority. This can be a great learning experience also. You can use Minecraft as an assessment project. Or not. If you want to link it to curriculum outcomes use screencasts, screengrabs and conversation records as evidence. Once your students have created their amazing structures they can facilitate virtual excursions for students from other schools. 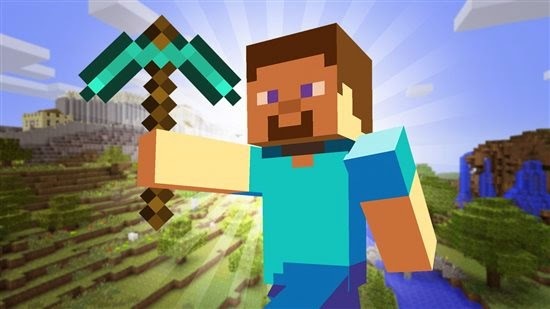 These excursions can also be workshops where students teach other Minecraft skills. 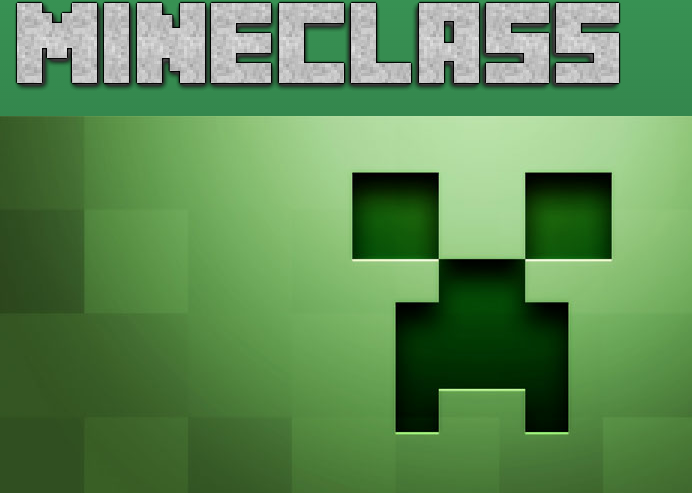 The Mineclass Project is an experiment in awesomeness. Schools around the world are linking up in a shared Minecraft server to explore student directed learning. The exponential changes happening in education at the moment are unprecedented. Global connectivity, information networks and social platforms are rapidly changing the learning landscape. Students today have the collective knowledge of mankind at their fingertips. Connectivism, “a learning theory for the digital age” (Siemens 2005) posits that learning is now more critical than knowing. It emphasises technology's effect on how people live, communicate and learn in networks. Are schools taking full advantage of this new wave of learning? How can schools best utilise e-learning, educational technology and networks to improve learning outcomes? The following is an overview of some of the approaches and successes we have experienced at St Columba Anglican School Port Macquarie (SCAS). Education 3.0 (Lengel 2012) goes beyond the boundaries of our country. It utilises global experts and innovators in the learning process. Studying volcanoes? Why not video conference with a vulcanologist? Learning about space? Let’s talk with astronauts on the ISS in real time! Video conferencing with real world experts dramatically increases engagement and learning. The most commonly reported student outcomes in e-learning studies are motivation, engagement and concentration (for example, Moos & Azevedo, 2009). A few also document progress in academic outcomes (Burt, 2007; Lewin et al, 2008). Skype in the classroom (https://education.skype.com/) is an excellent platform for inspiring learning and taking it global. With skype, students can collaborate with other international classes, speak with expert guest speakers and participate in online excursions. Google connected classrooms(http://connectedclassrooms.withgoogle.com/) is another excellent platform for bringing the world into your classrooms. Both of these systems are easy to utilise and are free. All you need is an internet connection and a webcam. Makerspaces are creative, hands-on spaces for tinkering, hacking and making. The last 10 years has seen the rise of the “maker movement” (http://en.wikipedia.org/wiki/Maker_movement) with its focus on DIY, innovation and experiential learning. The global maker movement has gained such momentum that the inaugural world maker faire launched in 2010 (http://makerfaire.com/). We recently developed and opened a K-12 makerspace at SCAS. As part of our library to learning commons evolution we designed a makerspace. A colourful and fun learning lounge where students could come at any time to tinker and make. The space resides upstairs in the Dawson Hub (our new name for the library). We run classes in the space and it is open for students to come and use any lunch or recess. I designed the space with my office included (glass wall partition) so I could facilitate the space. Our makerspace includes: a makerbot 3D printer (5th generation); a 3D scanner (digitizer); raspberry pi (small kit computers); chromeboxes (cloud computers); Leap Motion (3D physical controller); Oculus Rift (virtual reality goggles); old computers and phones to take apart and reassemble; GoldieBlox (engineering kits for girls); lego mindstorms and numerous other things to hack, tinker and play with. Except for the 3D Printer all these technologies are relatively cheap to acquire. Current student projects in the makerspace include: gaming development for the oculus rift (using Unity3D); collaborative inter-school 3D print minecraft museum (students share virtual models of their 3D creations in a shared minecraft ‘museum’); combining the Leap Motion and Oculus Rift with a 3D designed and printed mount; building a raspberry pi controller for a radio controlled car; designing and 3D printing our own VR headset system using a mobile phone as the screen; making a virtual map of our school that you can virtually ‘walk’ through (think Google street view) and numerous other mind-blowing student devised and directed projects. The immediate success and popularity of the makerspace has been astounding! The space is usually full to capacity. Common sights include students teaching each other (and teachers) how to use technology, excited collaboration and inspired learning! Being allowed to tinker, play and make with creative technologies in a non-structured environment is highly engaging for numerous students. A great sense of school community is also evident in the makerspace. The students own the space. After we launched our BYOD program at SCAS two years ago, the number of devices on campus rapidly increased. We did not specify a particular device. As long as a device can hold a day’s charge and access the internet we allow it. The diversity of devices, operating systems, apps and technologies at SCAS presented opportunities and challenges to learning. To help support our school technology and systems we launched our student tech support system (called the Tech Ninjas). Basically, the Tech Ninjas are technically inclined students who help with tech support in our learning community. Tech Ninjas are identifiable by the Tech Ninja stickers on their devices. Tech Ninjas assist their peers with common tech issues. Teachers also utilise Tech Ninjas if they have an issue (e.g. internet connectivity, device connectivity etc). The Tech Ninjas have made a real impact on the smooth running of our numerous systems and devices. Tech Ninjas exhibit improved self-esteem and self-efficacy. Teachers utilise Tech Ninjas in their class and receive timely assistance. The Tech Ninja program has benefited teacher/student relations and communication. The benefits of elearning and educational technology to enhance relationships between teachers and students has also been documented in recent studies (Alexander, 2008; Ballantyne, 2004; Mitchell, 2007). Lengel, J. (2012) Education 3.0: 7 Steps for better schools. Teachers College Press. New York. Lewin, C., Somekh, B., & Steadman, S. (2008). Embedding interactive whiteboards in teaching and learning: The process of change in pedagogic practice. Education and Information Technologies, 13(4), 291-303. Mitchell, L. M. (2007). Using technology in reggio emilia-inspired programs. Theory Into Practice, 46(1), 32-39.